Huge steps forward and big progress. Despite narrowly losing to Chelsea U15’s in the Premier League Floodlit Cup, Junior has started 2016 better then anyone could have expected featuring for Millwall U18’s on several occasions as a U15 and scoring a vital goal against a good Brentford FC U18’s side. 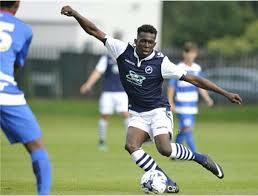 Millwall FC is the right place for Junior to be and it’s proving the case as his development over the last few years has been immense, credit to there Academy staff.